What's in it? 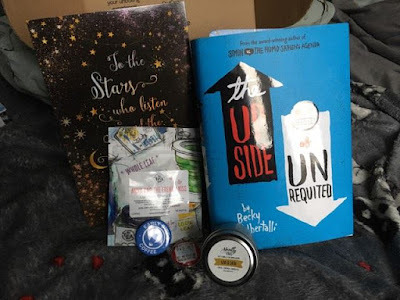 This box contains a Young Adult novel, 3 to 5 bookish items and a note from the author. The theme of this month's box is ''Head over Heals''. In an other word, romance. I don't really read love stories, but when there is romance in a book I'm reading, I love it. That's why I was excited to see what book I'll receive this month. I wasn't sure I was gonna receive my box this month because I never received my shipping e-mail. 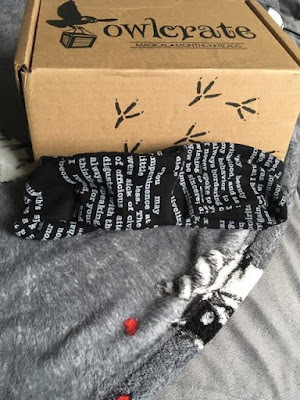 So I wrote them a message today and 30 minutes later I received my box.... oups. 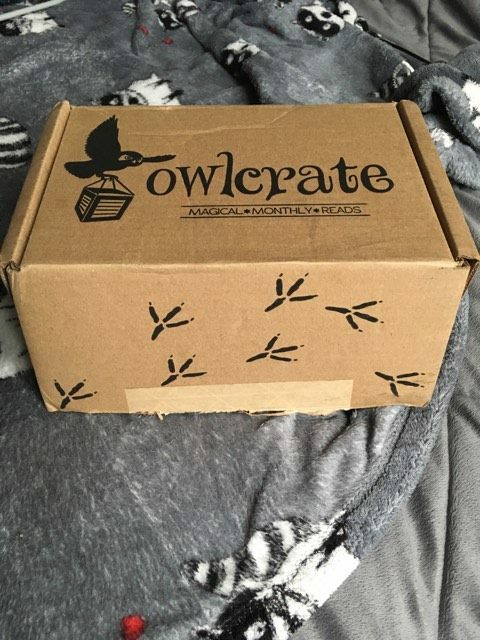 Like all the items in the box, this keychain is an exclusivity of the Owl Crate box. I needed a keychain for our mailbox key, so I'm happy to receive it. 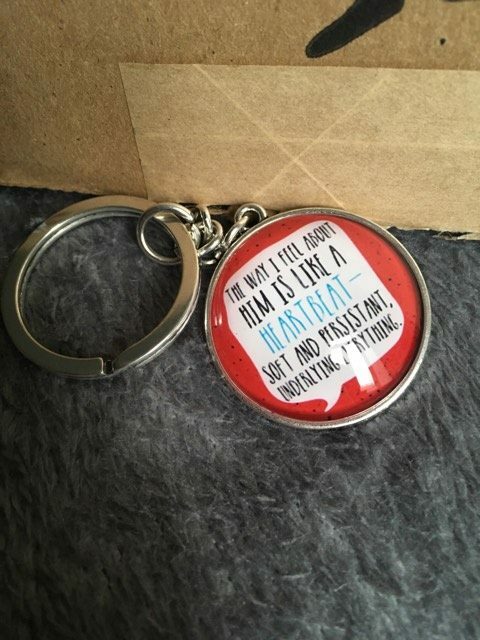 On the keychain it's written: '' The way I feel about him is like a heartbeat - soft and persistant, underlying everything.'' 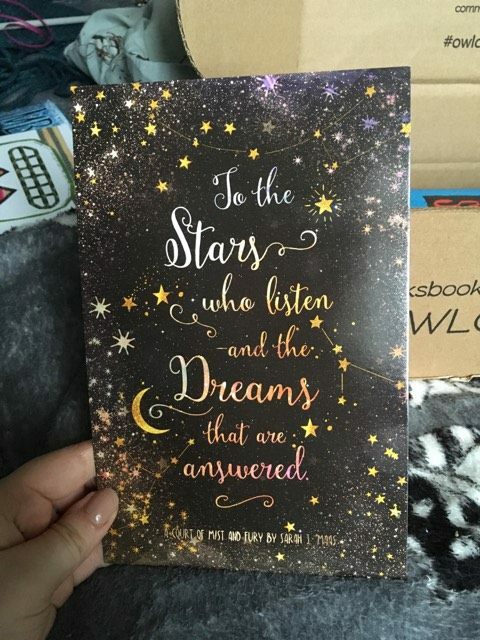 It is a quote from Simon vs. the Homosapiens Agenda, from the same authour as the book I received in this box. I love the scent of this candle. It smell of a mix of coffee, pumpkin and chocolate. 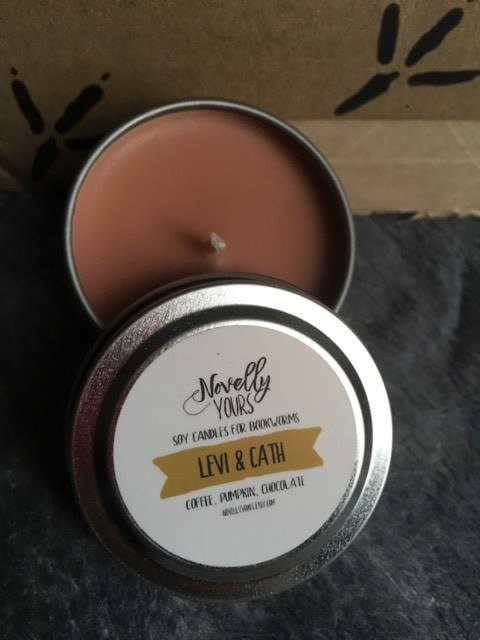 I will certainly buy from Novelly Yours in the future, because it's a good quality candle. The scent rapidly spread when I lit it et stay for a long time in the room after you blew it. 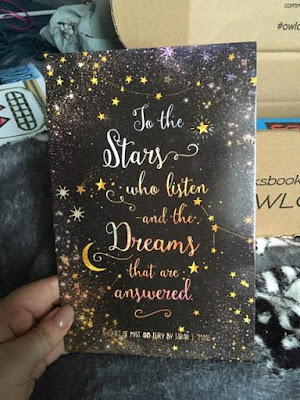 This is a short story that I will not read because this is the second volume from an exclusive to OwlCrate serie. I wasn't subscribed to this box when the first mini book was sent. The cover is really pretty. I love this headscarf! It's really confortable. Sadly, I haven't read Pride and Prejudice yet, but I have the book. It shouldn't be too long before I read it. It's simple, but pretty at the same time. I heard about this author's first book and I've put it in my to-read list. What a great surprise to receive her second book. 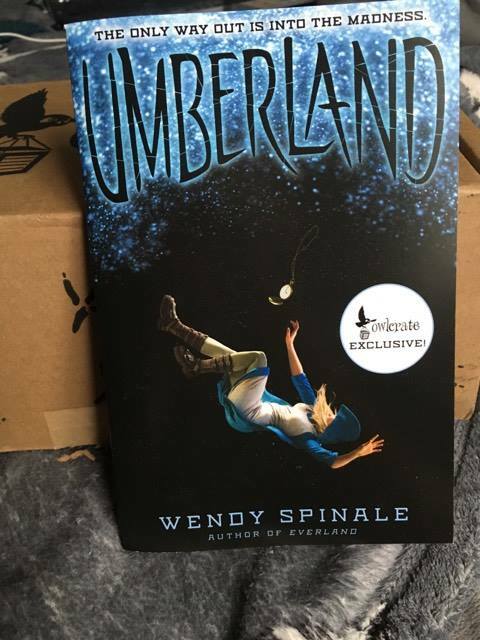 I already start reading it and I've found some resemblance with the characters, making me feel more connected to the story and wanting to read more. I'll do a review in a couple of days, when I'll finish it. I didn't read A court of Thorns and Roses yet. This print is really pretty and I'll probably put it on the wall of my bedroom. 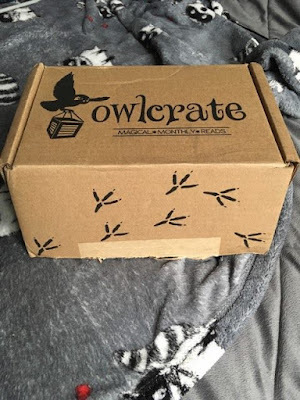 That's all for this month's OwlCrate. I love everything, except the little story I received, because I can't read the first chapter. I love reading, I love candles, I love scarfs and I love tea. I couldn't ask for more! 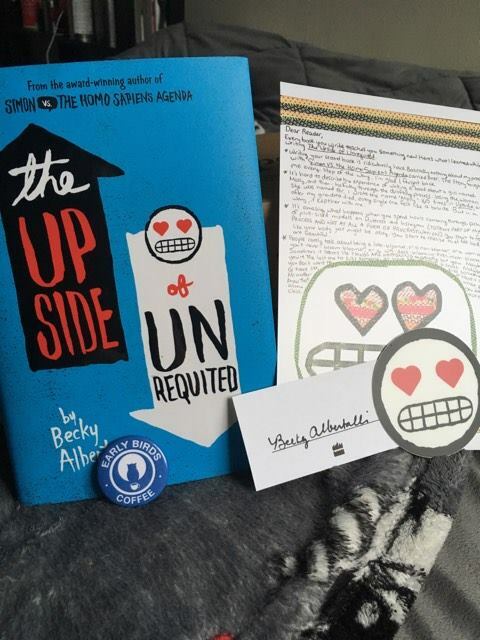 I will stay subscribe to this box, because each month I LOVE what I receive and the book is always a good discovery. I can't wait for next month's box. The theme will be ''Comic Explosion'' and it will feature a Funko Pop! figurine. I hope this will be a Thor figurine! We'll see.